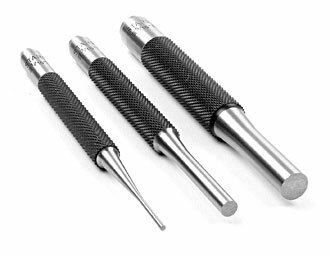 STARRETT Drive Pin Punches These Drive Pin Punches are well proportioned, hardened, and have a knurled finger grip. 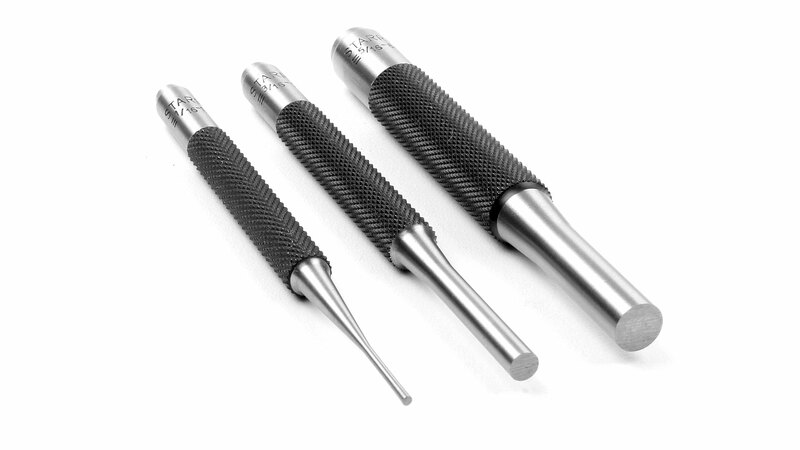 STARRETT-Series 565. Click on the picture for enlarged views! 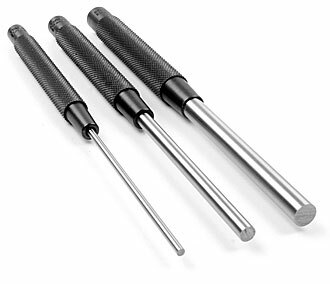 STARRETT long Drive Pin Punches These Drive Pin Punches are well proportioned, hardened, and have a knurled finger grip. STARRETT-Series 248. Click on the picture for enlarged view! They are designed to withstand hard use. mm specification only approximately. 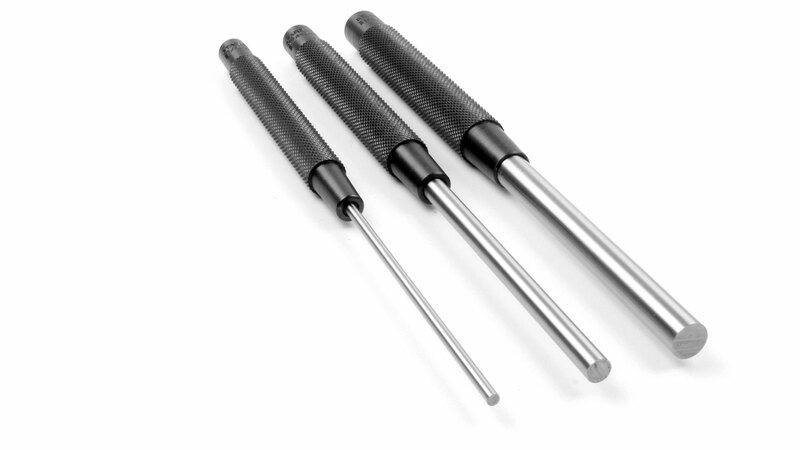 These punches are made in slightly undersized inch measurements. 3 mm (1/8 inch) 202 mm 88 mm Currently not in stock!